A few years back, my mom had injured her back when she slipped on the icy ground. It was not really severe, but the lower back pain kept her up at night and caused her a lot of discomfort. As part of the treatment and prevention therapy, the doctor prescribed her to wear a lumbar back brace, but no more than 5 hours per day. She said it helped her tremendously: it made it easier for her to deal with the moderate pain and encouraged her to stay active (which turned out to be crucial in the healing process). In this article, I tried to find out if the braces really help with the lower back pain and recovery. 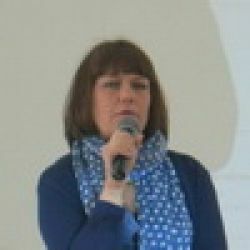 I’ve researched the subject, including the opinions of medical healthcare practitioners, fitness instructors, alternative medicine devotees, as well as excerpts and conclusions of major scientific research papers. I’ve also chosen the best back support braces on the market right now with prices ranging from $16 to $50 to make it easier for you to narrow your choices to the best available options. From this comprehensive review, you’ll learn: how to wear braces, how to choose the best one for your specific needs, why braces can be effective in treating adolescent scoliosis, why fitness trainers recommend using the brace if you are overweight, and what precautions you need to be aware of when wearing a lumbar brace. How Does a Lower Back Brace Work? What do the medical practitioners say? Brace with Adjustable Suspenders by Trademark Suppliers. Pros & Cons of Using a Back Brace. Who Can Benefit from Wearing It? 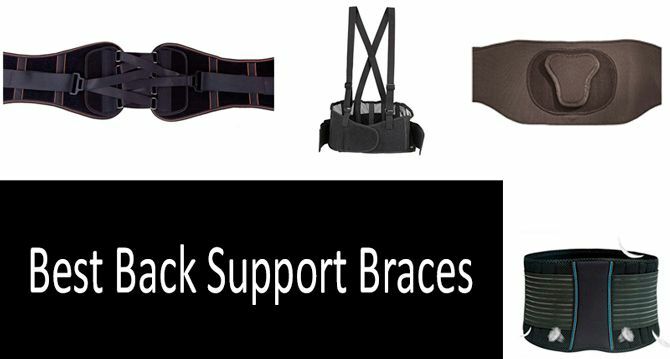 Back support braces usually fit around a patient’s waist and are fastened with Velcro. Additional stability is achieved by the supportive steel/plastic springs or a plate that conforms to the patient’s back; some lumbar devices have adjustable straps that enhance comfort during use and help minimize discomfort in the groin area. Manufacturers claim that back support braces provide enough compression and support for the lower back to help in the recovery process against such ailments as chronic back pain, muscle strains, lumbar orthosis, osteoarthritis/arthritis, sciatica, spinal stenosis, scoliosis, and hernias, as well as develop better posture for working and reduce industrial low-back injuries. Scientists’ opinions vary a great deal in terms of the effectiveness of lumbar braces. But most of them agree on its overall short term efficiency in treatment of mild to moderate pain. Fitness trainers, for example, specifically recommend not using the brace for the treatment of lower back pain, but for preventing injuries and in combination with other fitness equipment to train other parts of the body while reducing the spinal pressure. Let’s look closer at some of the research findings to figure out where braces can and cannot help. One of the most recent study (2017) published in the Annals of Internal Medicine concludes that there is almost no difference in pain or function between lumbar support added for treatment with treatment alone or other interventions in patients with acute or subacute low back pain. The study also specifically states that regardless of treatment, patients improve over time, and thus, clinicians and patients should select nonpharmacological or nonsurgical treatments first to alleviate the short-term pain associated with acute and subacute low back pain. Another earlier study (2008) in Cochrane Database of Systematic Reviews published on PubMed concludes that there is, in fact, moderate evidence against using lumbar supports as they are no more effective than no intervention at all. However, authors still express their concerns regarding the need for high-quality randomized trials on effectiveness of back braces, since patients involved in trials didn’t always comply with the requirements to wear the braces for adequate periods of time. In Select Health of South Carolina’s recent policy on Spinal orthoses (2017), which is solely based on evidence-based medicine, authors gathered information from a few scientific sources which recommended bracing neither for spinal fusion nor for osteoporotic spinal compression fractures due to lack of evidence. While some of these findings and conclusions seem disappointing and discouraging, there are, however, studies that advocate using lumbar supports in treatment of scoliosis. In 2013, The New England Journal of Medicine published an article on the effects of bracing in adolescents with idiopathic scoliosis, which concluded that bracing significantly decreased the progression of the most common form of scoliosis in adolescents and helped teenagers avoid painful spine surgeries. Another more or less encouraging study conducted by the UCLA School of Public Health back in 1996 observed the effects of mandatory wearing of low back belts by nearly 36,000 employees of Home Depot Stores in California. The researchers concluded that the use of back support braces significantly reduced acute low-back work injuries. It is not surprising, however, that contrary to modern medical science, supporters of alternative medicine often favor the use of back braces. As published in US News, Scott Bautch, president of the American Chiropractic Association's council on occupational health, said that during the course of his 30-year career, hundreds of patients with mild to moderate subacute back pain used lumbar braces with a significant degree of success. My husband, who is a certified fitness instructor, says that he would recommend lumbar back braces for people with excessive weight, chronic diseases (such as protrusions and hernia), as well as in early rehabilitation stages after injuries. During his 10-year work experience, he observed that the belt reduced the axial load on the lumbosacral spine and allowed his clients to live a fuller and more active life. In addition to using the support brace, he recommends strengthening exercises for the cortex muscles (abdominal and lower back). Also, if a client has a mild back pain but still would like to continue with the usual training, he recommends using the support brace to reduce the weight burden on the spine and relieve the pain. He advises to use the belt along with other sports equipment. For example, press the legs, the back is fixed and supported both by the belt and by the fitness equipment, and train separately upper back and hands. Some other types of planks and exercises are possible; all must be approved by a certified trainer and done under his or her careful supervision. In this review, I’ll cover the top-5 best back braces currently on the market; describe their main features, differences, both advantages and disadvantages. You’ll learn the different types of lumbar support braces: supportive steel springs, adjustable straps, breathable mesh, a brace resembling a classic corset - in short, all major types of braces with the most positive reviews. Mueller lumbar brace is specifically designed for sports injuries. Judging by the reviews and comments, it’s one of the best back braces for sports. The manufacturer claims that this back support brace offers relief for muscular weakness, osteoarthritis/arthritis, reduces load on intervertebral I disc (L1-L5), and can be used for posture control, lifting activities, etc. Mueller Lumbar Support Back Brace has a double layer design that allows for custom fit and adjustable compression to the abdomen and lower back. It has a plastic component which reduces brace rolling, as well as a special removable lumbar pad that cushions and compresses the lower back. One of the advantages of this lumbar brace is that it has supportive steel springs that fit the natural curvature of your spine. Mueller Lumbar Support Back Brace with Removable Pad is available in two sizes: regular and plus size. The manufacturer claims that AidBrace helps relieve lower back pain with sciatica, scoliosis, herniated and slipped discs. While some of these claims are definitely questionable (as we’ve seen with evidence-based scientific findings above), it seems that it serves its main purpose and supports the lower back during sports activities and industrial work. It also has a Removable Cushioned Lumbar Pad that provides additional support to the lower back. Additionally, AidBrace has breathable mesh backing for better ventilation during strenuous labor or fitness, as well as double sided straps for tighter adjustment. The back brace has a curved design to conform to the spine, releasing the pressure off abdominal areas. AidBrace might be best for industrial purposes, since it is made of materials with enhanced durability. Available in three sizes for better fitting. BraceUP allows you to stay active while providing adequate support for your lower back. The main features of BraceUP are dual adjustment straps for customized fit and compression; eight stays for additional support, adjustable silicone straps to minimize the slippage. The breathable material makes it light but durable. The fabric helps to release excess heat and moisture, making it yet another perfect option for fitness and work purposes. Also available in three sizes for customized fitting. This back brace from Trademark Suppliers has a wide and lengthy Velcro loop which makes it easier to wear, tighten, customize, adjust, and remove the brace, as well as reduce or eliminate ridging of skin while bending or sitting. Spandex material is breathable and specifically designed for improved ventilation, fitting and supporting the belt from bunching and rolling. Removable suspenders reduce the pressure on the groin area and provide additional lumbar support, especially during laborious industrial tasks. One of the main advantages is that this belt comes in eight sizes to ensure a customer chooses a perfect fit. King of Kings lumbar brace is the most expensive option among the top-5 covered in this article. Its main focus is on protecting L4 L5 S1 Lumbar vertebrae. It has also two nylon bars that specifically target the psoas muscle in the waist to help alleviate the muscle soreness. A sophisticated yet easy to use pulley mechanism adjusts the back to the position and supports the customer needs. Comes in four sizes. King of Kings manufacturer states that its lumbar brace is mainly suitable for scoliosis, spinal stenosis, herniated disc, among other lumbar ailments. While it almost certainly helps with alleviating the discomforts associated with these diseases, one should always consult a doctor prior to buying any type of specialized equipment. King of Kings lumbar brace might be also immensely beneficial for people with jobs involving risk of lower back pain; the manufacturer explicitly lists the following activities that might require additional back support: gardening, fishing, heavy manual labor, and driving. Due to the complexity of the back, pain can originate from any number of causes, so it’s best to ask your doctor for recommendations; perhaps, he/she will direct you to a specific brace for your problem. Other than that, make sure you choose the right size for your body, which suits your spinal curvature, and makes you feel comfortable. Almost all good lumbar support back braces have removable pads that cushion and compress the lower back, providing more support. If you are involved in strenuous labor, or would like to purchase a back brace for fitness, then look for breathable mesh backing that would take care of the excessive moisture during any type of physical activity. Choose the back brace that would allow a tighter tension adjustment (if necessary) with side straps, as well as minimize the risk of bunching and slipping. If you need additional back support, then, perhaps it’s best to choose a brace with removable suspenders. As discussed earlier, wearing braces can be beneficial for adolescents during major growth spurts, especially in reducing or preventing idiopathic scoliosis. The major disadvantage, though, is that braces have to be worn for more than 13 hours per day and for more than one year (sometimes even for three years). The prolonged hours of wearing a brace as opposed to a few hours of operation, unfortunately, do not add more kudos to lumbar bracing. Teenagers complain that they have to wear baggy clothes to conceal wearing a back support, which make them uncomfortable and more introverted. Another group that can benefit from lower back bracing is workers involved in manual labor, where wearing a back support can help prevent more industry-related back injuries. However, there is not sufficient evidence to recommend that the supports be worn by uninjured workers. Also, athletes can reap the benefits of an enhanced range of motion, and while braces are not effective in preventing back pain during athletic activities, they can certainly help alleviate the pain and serve as an effective treatment in combination with other preventive interventions. However, along with the benefits, come the costs of wearing a lumbar brace which can lead to negative side effects if used inappropriately or long term: muscle wasting, skin lesions, gastrointestinal problems, among others. First of all, if you experience severe pain, you’d better see a doctor as soon as you can. If your lower back pain is uncompromisingly serious and severe, the back brace won’t help much. But if you experience a moderate or low level of pain, then back belts and braces can help you tolerate it, or, otherwise, ease your discomfort to a certain degree. If, for some reason, the pain still persists, then see a doctor again to rule out serious ailments associated with back pain (like kidney stones or even cancer). Ask your doctor if he/she supports the use of a back brace in your specific case. And once your doctor approves the use of lumbar support devices, then try to find the one that will best fit your body. The last bit of advice is especially important because wearing a back brace (if done wrong) leads to skin irritation, uncomfortable rubbing, and even lesions. But if a lumbar support fits well and is worn according to your doctor’s instructions, it should not cause any health issues. To avoid any skin problems, it’s recommended to wear an undershirt between your body and back brace. You should not become reliant on your back brace. Lumbar support can never be a long term solution. Brace dependency can result in muscle atrophy. It is important to work on strengthening your core muscles, use other treatments as advised by your doctor to supplement wearing a back brace. Try to figure out your physical boundaries to avoid reinjuring your back. Don’t try to outperform your physical limitations while wearing a support brace or when you stop wearing it. Are the braces flexible enough to allow bending at the waist? Yes, most of the braces are designed for you to be able to move, bend, and lift objects, while providing additional support for your lower back. However, it’s best to read the description to each particular brace carefully to see if it’s flexible enough for your specific needs before buying it. Does the back brace cause a lot of sweating from being used during activity? To prevent any sweating or rubbing against your skin, it’s advisable you wear it over a shirt. Also, look for lumbar braces made with breathable materials. Will the brace help minimize lower back injury during sports activities? Proper exercise techniques under supervision of a certified instructor should not lead to back injuries. However, if you have already injured your back or have a mild pain in the lower part of your body, then exercising with lower back braces can help alleviate the pain or provide additional support to prevent further injuries. How do I choose a proper size? Look at the instructions carefully: usually for each brace, there is a description on how to choose the right size for your body complexion. Most of the time you have to measure yourself around the mid-section of the waist to determine your proper size. Are braces bulky to wear under the uniform? Most of the reviews suggest that braces either don’t show under the uniform or can be slightly visible. While there is no sufficient evidence on the effectiveness of using and wearing back support braces in treating most of the lumbar ailments, many people claim that it certainly helps them to reduce the lower back pain short-term or eliminate it all together. That being said, many back braces manufacturers state that lumbar braces can be used for preventing back pain or reducing the risks of back injuries in sports and manual labor. Prior to buying a lumbar support brace for you, please, consult your healthcare physician. What I am looking for is a brace that is not to wide as my waist is very short. I am looking for one that has a button on it that you can push a little air in it to help the tightness you can stand. Is there hopes of finding this? ?